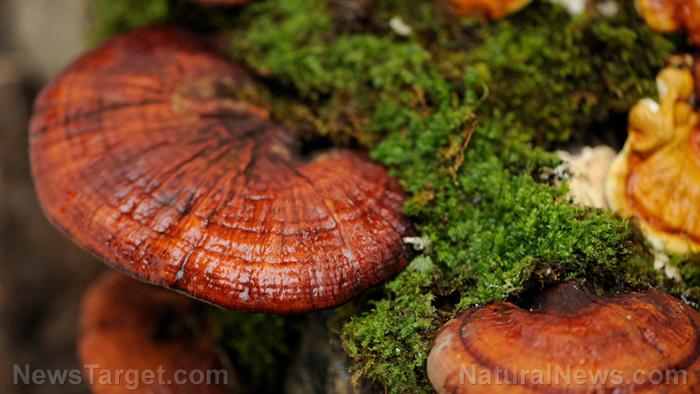 (Natural News) Reishi mushrooms (Ganoderma lucidum), also known as lingzhi mushrooms, are commonly used in traditional medicine to address various health conditions. According to research data, the potent mushrooms can also be used to boost the immune system. How can reishi mushrooms address immunosenescence? As people get older, they become more susceptible to immunosenescence. This condition is associated with the gradual decline of the immune system due to aging. The immune system helps fight bacteria, destroy emerging cancer cells, and turn off the inflammatory response in the body once threats have been eliminated. However, because of immunosenescence, the elderly are at greater risk of developing health problems caused by inflammation and infections, which may cause conditions such as cancer, diabetes, and heart disease. Through modern technology, scientists have been able to learn how and the reishi mushroom can boost the immune system and supporting better health as people age. They noted that the potent mushroom has different “‘pharmacologically active compounds” that can safely and effectively slow down the aging process and boost overall health. The anticancer properties of the mushroom help strengthen immune system cells so the body can effectively expel invaders. The mushroom supports B and T lymphocyte and “natural killer” cell development, allowing the immune system to more effectively target and destroy cancer cells and viral invaders. Additionally, reishi mushroom extract can deactivate carcinogens, inhibit cancer cell proliferation, and promote apoptosis (programmed cell death) in cancer cells. Some studies suggest that reishi mushrooms can also help fight depression and fatigue, boost heart health, and control blood sugar. Researchers are currently trying to determine the potential medical applications of the antiviral and healing compounds in these mushrooms. A strong immune system is crucial to your overall health, and emerging scientific data suggest that reishi mushroom compounds may help boost immune function. With continued research, health experts may one day determine how reishi mushrooms can address the side effects of immunosenescence so people can remain in the peak of health even as they grow older. Unlike other foods or supplements, reishi mushroom dosages can vary based on which type of mushroom is consumed. For dried reishi mushroom extract, the dose is approximately 10 times less compared to the consumption of the mushroom itself. To illustrate, 50 g of reishi mushroom is similar to about five grams of the mushroom extract. Doses of the mushroom extract may vary, but safe amounts range from about 1.5 to 9 g per day. When taking supplements that use only certain portions of the extract, the recommended doses may be much lower than the values reported for the mushroom itself or with dried reishi mushroom extract. Reishi mushroom extract can also be made into a tea and consumed daily. Always consult an herbal medicinal expert before you start taking reishi mushrooms to determine the proper dosage for your condition. Read more articles about reishi mushrooms and other effective natural remedies that can boost your immune system at NaturalCures.news.